I remember when I first started teaching. I was so excited, but I was also a nervous wreck. 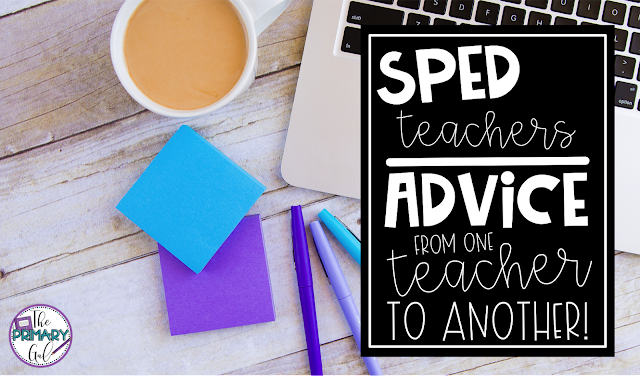 The only experience I had with students with disabilities was from student teaching. I was confident and willing to try anything, but I was also a newbie! I didn't know if I was ready, and I really wish I could have read a little bit of advice from teachers who had walked the path before me. So below, you'll find a few words of wisdom from some Primary Special Education Teachers! 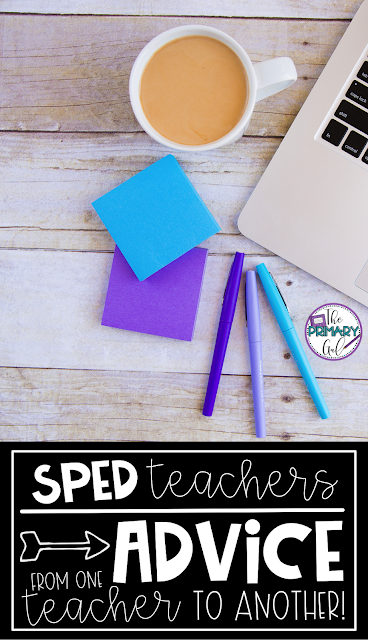 If you are a primary special education teacher, you'll love the ideas, inspiration, humorous stories, and conversations that are taking place in our group. *Eat in the lounge and participate in staff activities. Those relationships spill into the classroom and make supporting kids TONS easier. *Find a reason to laugh or smile every day. *Do what you love and love what you do. *Don't be afraid to try new things or stop what's not working. "1. Always stick to your convictions. This goes for dealing with admin and district personnel. If you know your students need something, be persistent and don’t back down. You are their advocate.